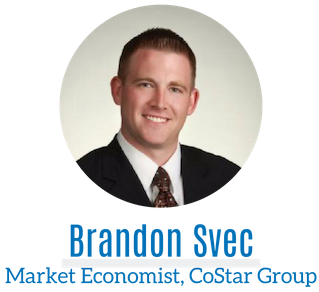 An expert in commercial real estate, Brandon Svec serves as a Market Economist for the CoStar Group, where he leads the firm’s research and analysis on the Chicago and Milwaukee multifamily, office logistics and retail markets. Brandon previously held senior leadership roles at Inland Real Estate Investment Corporation, Inland Securities Corporation and First Allied Securities. His portfolio includes diverse experiences in fund strategy, firm-wide research initiatives, due diligence of REITs and private equity real estate funds. Brandon gave a keynote speech that highlighted the trends, data and opportunities in commercial real estate.